It appeared that my c: and d: drives were riddled with trojans and security issues. 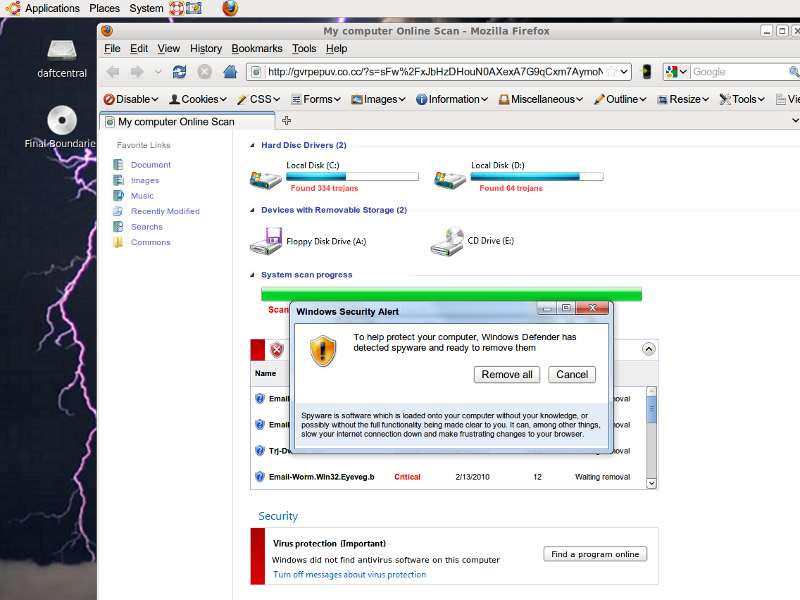 Luckily for me, Windows Defender was springing to my rescue! The eagle-eyed amongst you will already have spotted why Windows Defender was unlikely to be all that useful in this case..